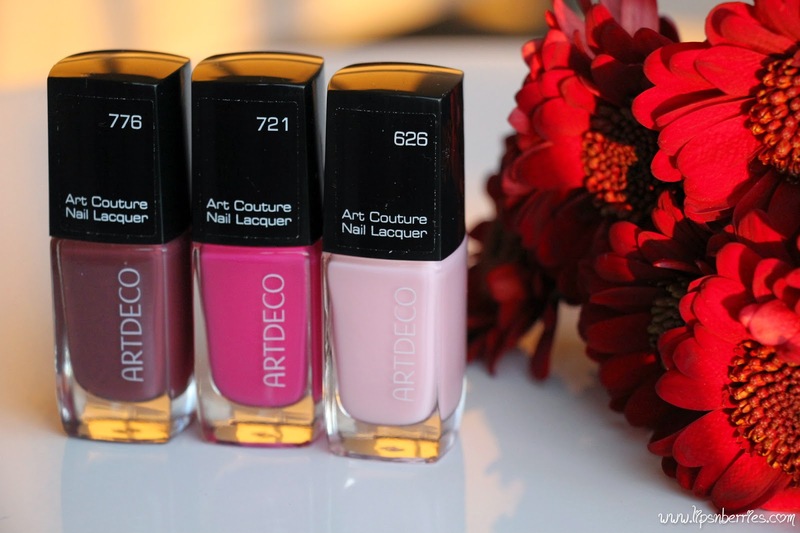 ARTDECO Art Couture Nail Lacquer in 626, 721, 776- Review + NOTD! | LIPS n BERRIES! Ever wondered what's the easiest thing to review? Nail Paints! Super easy to tell if they are worth it or not! Unlike skin products! One coat and you know if its a score or dud! Come day 2 ... and you know whether you will be putting it on again or not! 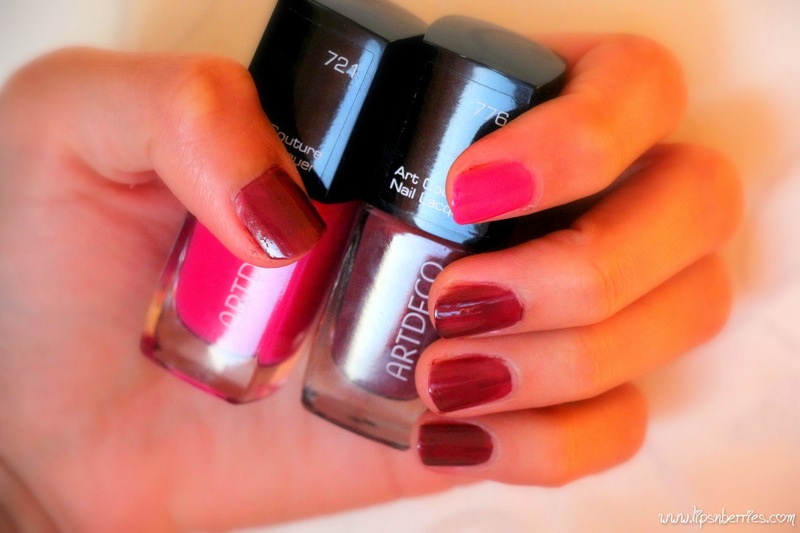 How many of you have those un-loved nail paints that you were so sure about in the shops? Both my hands up!! ARTDECO (Is it supposed to be in capital letter always?) has just released their spring collection and here's my experience with the 3 shades I received for review purposes! Now, I've never tried any ARTDECO products before. Always been keen though! More so when one of my fav NZ blogger The Beauty Foodie raved about them. Gotta be honest... I'm blown away by the quality of these nail lacquers. Day 5 n counting- No chips whatsoever! These are surely long-lasting. Even OPI isn't this good on me. I did gradient nails will the 3 shades! You just need a sponge. Takes 5 mins.. so easy! They claim to have nail care ingredients like Amino-peptide, Vit A, C, E and some algae that nourish the nail. I can't vouch for that but it surely didn't stain my nails. The brush is good at reaching corners as it's got that perfect length. It has '300 high quality tynex fibres' - Talk about perfectionism!! I love the shiny finish that these impart, which stays for days. All in all a tough competition to OPI. Even cheaper than them! My only gripe would be the numbers on them. I wish they had cute-sy names. So much easier to remember. Or is it just me? Buy from: Farmers NZ is the official stockist - $19 each. 18 spring shades released on Sept 1, 2014. 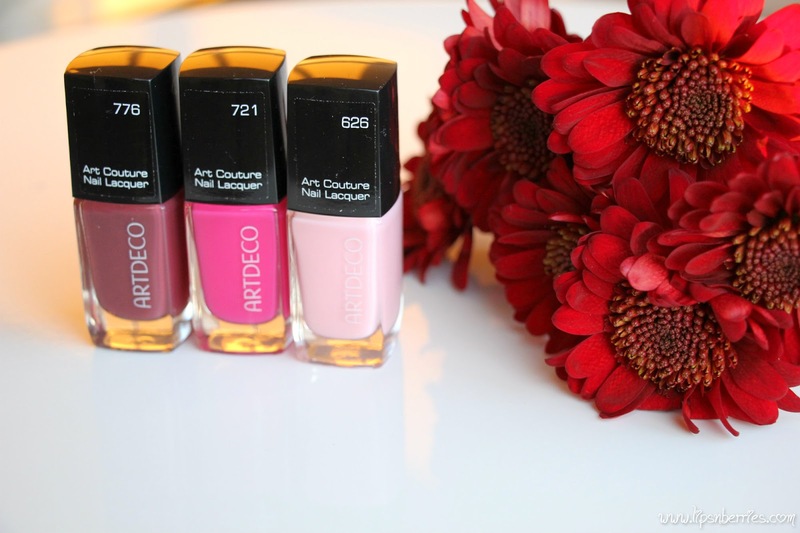 Found this offer on Farmers website (as of 4/9/2014)- "Buy 2 or more Art Deco lacquers & receive a 100ml nail polish remover & buffer free"
UPDATE (07/09/14) : Well I went onto the ARTDECO website to check out another shade and guess what? The shades have names! 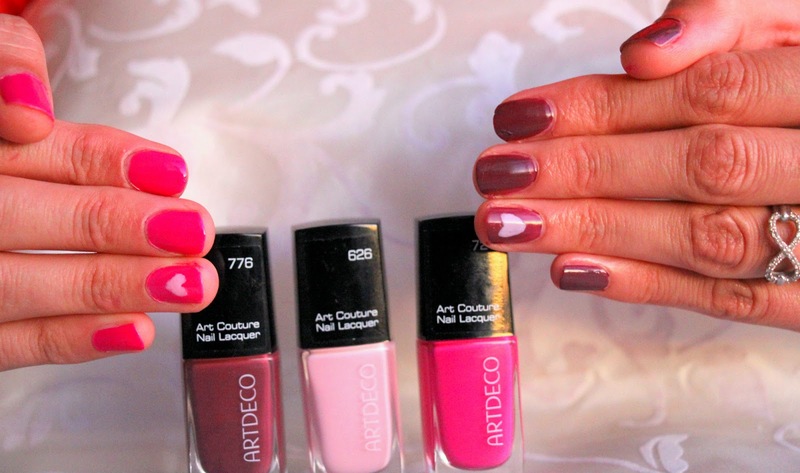 626- Couture Baby, 721- Couture Pink Orchid & 776- Couture Red Oxide! I guess there's no con left after all. It's the most frustrating thing to have polish chip or peel within minutes of putting the stuff on! Durability is a big seller in my book. I like the look of the pale pink for moi I think. 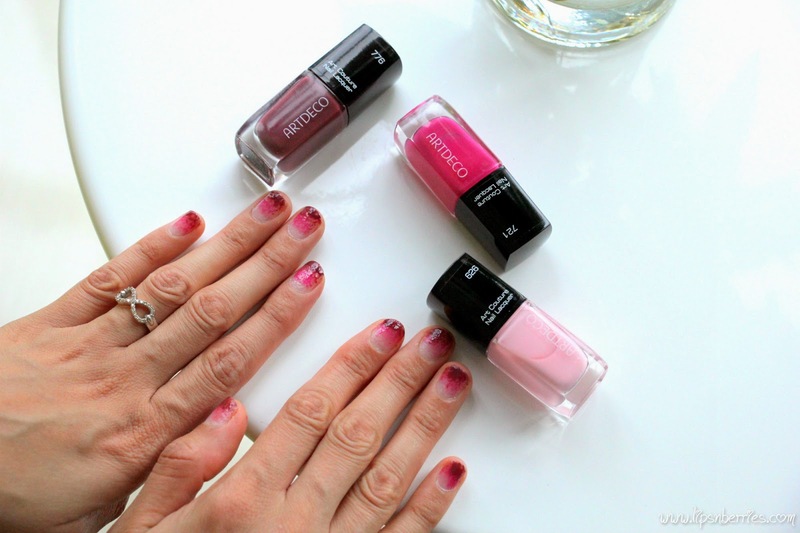 In that case, you'll love these polishes! and that pale pink was so buttery and smooth...not at all streaky! 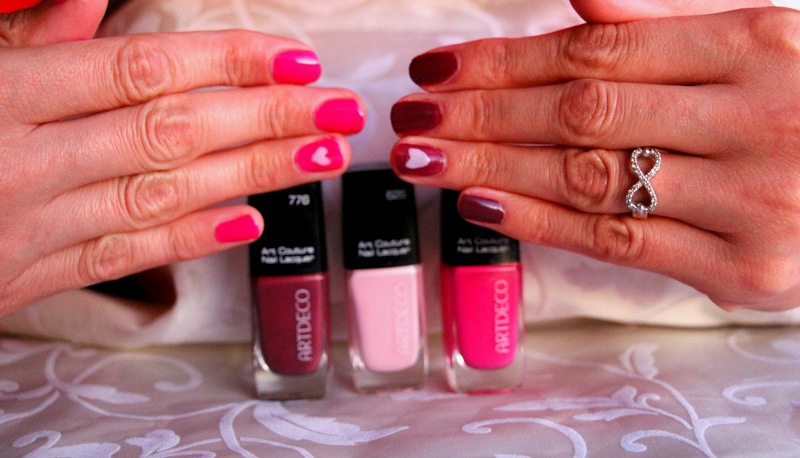 The fact I could draw a heart with it in just one coat shows you how pigmented these are! I'm super impressed!